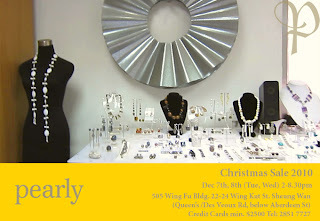 If you've got some time on Dec 7or 8, drop by Pearly's studio to check out some pretty jewellery. 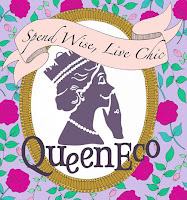 Pearl's been doing jewellery design for quite a while and in the past only sold her collection to private clients and friends. 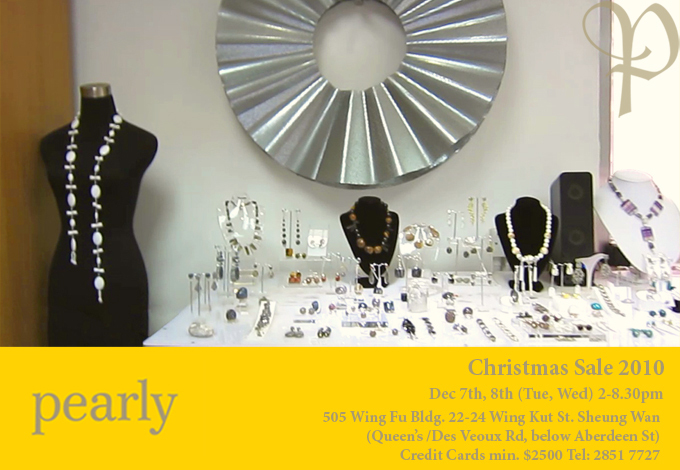 She's now venturing out to the public so this would be a great opportunity to get your hands on some unique jewellery for Christmas gifts.